I have another one of the L.A. Girl 3D Effects to share with you today. I was really impressed with the color offerings in this collection. I'm sucker for blues and teals, so I had to get the teal one! 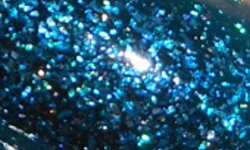 Teal Dimension is a rich teal with scattered holographic glitter. Color: Does this not look like a foil I glued on my nail or what? This is pretty amazing. 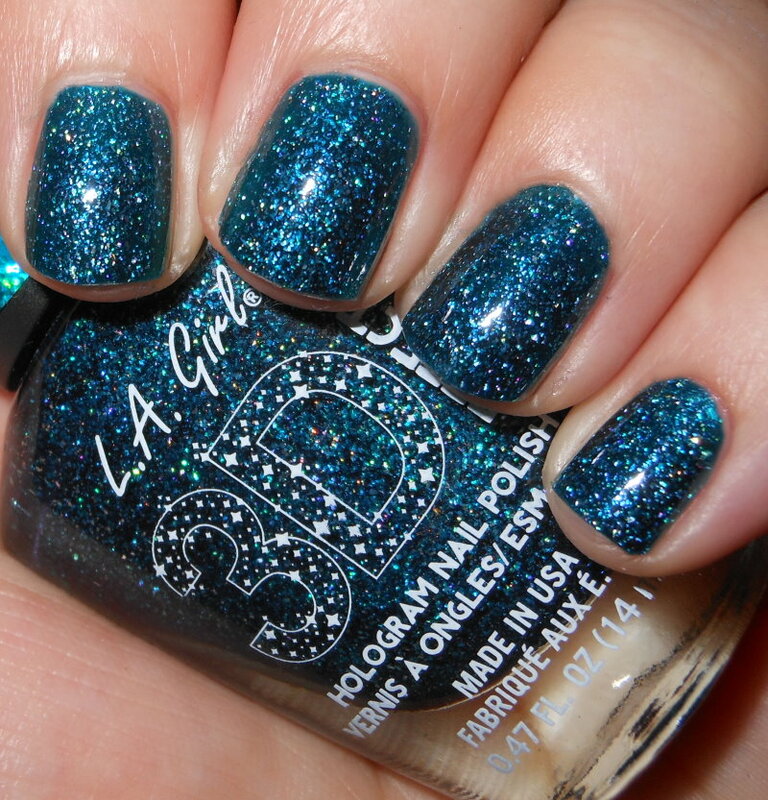 The holographic glitter in this is so strong and that teal paired with it=ahmazing. Formula: Again, like the other this is on the sheer side. I needed used 3 coats with this one. Price: I paid $4.00 for this on Cherry Culture. Overall: Amazing. Stunning. Fantastic. You need this! Must have! This is pretty amazing. It looks like the most amazing mermaid teal!